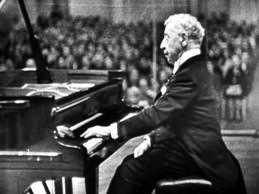 Classical music: What is the Devilishly best music for Halloween? Here are 13 suggestions to listen to plus some other suggestions. What piece would you choose? 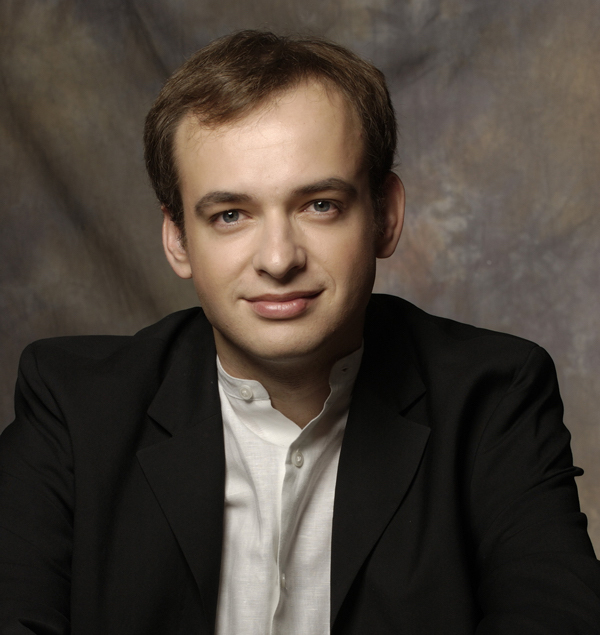 ALERT: Today’s FREE Friday Musicale, from 12:15 to 1 p.m. at the First Unitarian Society of Madison 900 University Bay Drive, features pianist Mark Valenti (below). 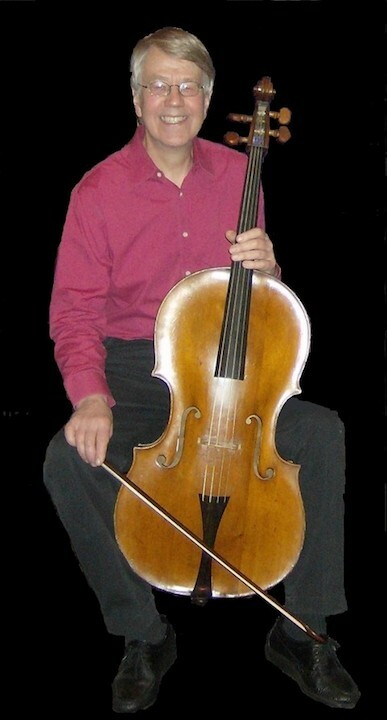 He will play “Estampes” by Claude Debussy, Sonata by Bela Bartok and “Variations Serieuses” by Felix Mendelssohn. 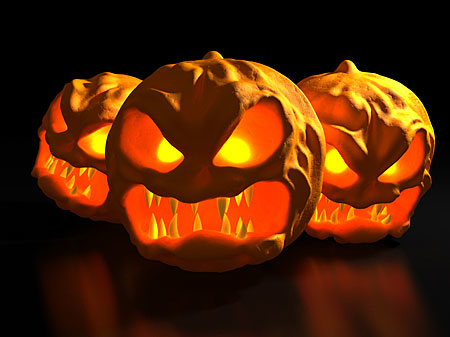 Today, Friday, Oct. 31, 2014, is Halloween. In addition to trick-or-treating and dressing up in costumes, visiting Houses of Horrors, watching horror films and scary TV shows, people often listen to spooky music. What is some good Halloween music? 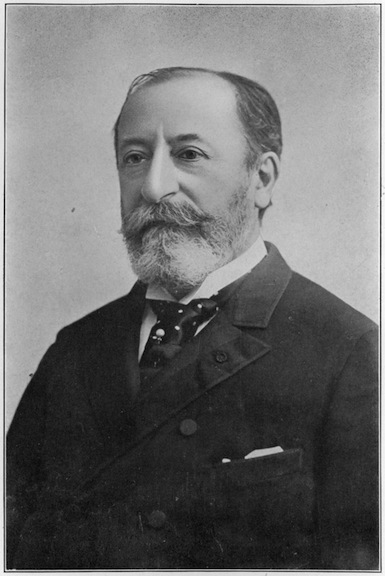 One perennial favorite in the “Danse Macabre” by the French composer Camille Saint-Saens (below) with such masterful orchestration especially in the strings, brass and percussion parts. You can hear a popular YouTube video with over 5 million hits at the bottom. Here is a website from an Australian arts magazine with 13 -– yes, an unlucky 13 –- suggestions for the best Halloween music. See if you agree. What do you think is a really good piece of Halloween music? Let us know in the COMMENTS section with a link to a YouTube video, if you can include that. And The Ear wishes you a HAPPY HALLOWEEN. 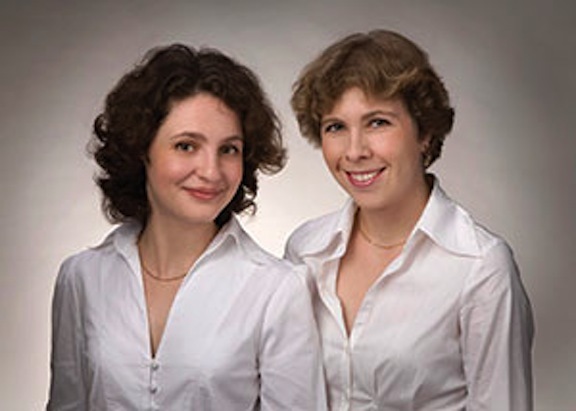 Classical music: The chamber music group Con Vivo opens its new season this Saturday night with a program that spotlights the harp and the organ. 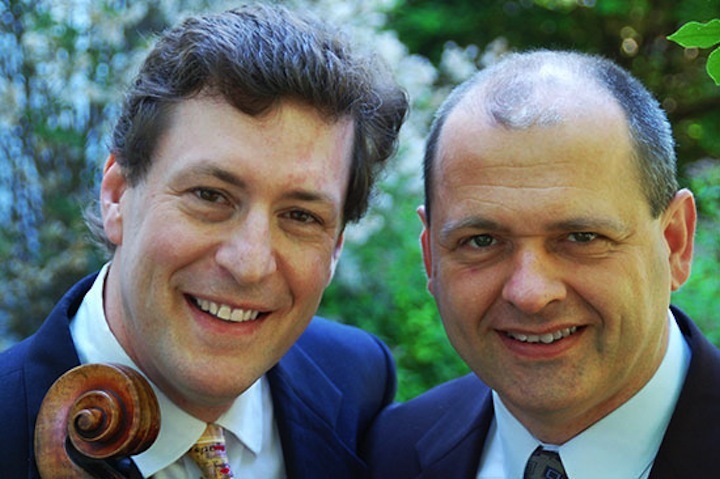 con vivo!…music with life (below) opens its 13th season of chamber music with a concert entitled “63 Strings and 2008 Pipes” on this coming Saturday night, November 1, 2014 at 7:30 p.m. at the First Congregational United Church of Christ, 1609 University Avenue, across from Camp Randall. Joining con vivo! 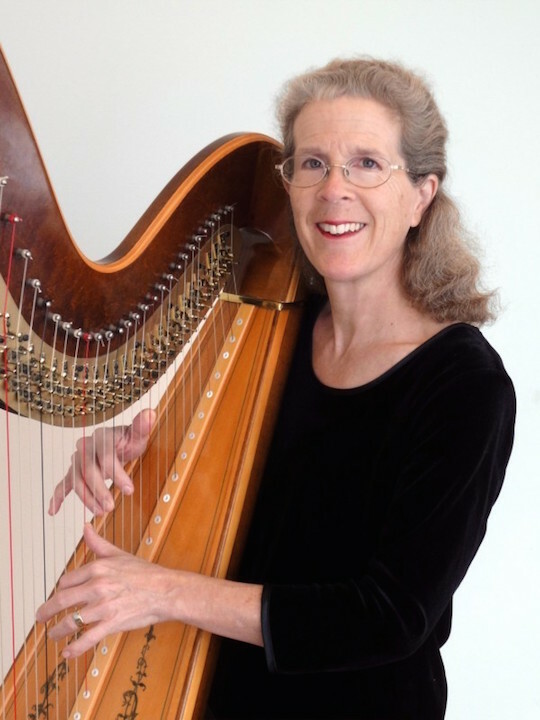 for this concert is guest musician Karen Beth Atz on harp. 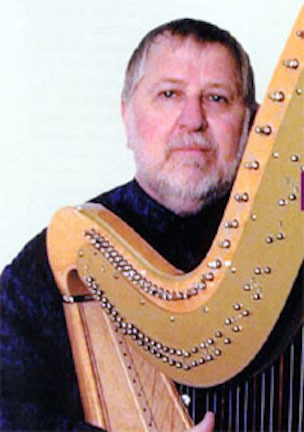 Atz is principal harp with the Madison Symphony Orchestra. The program includes the Sonata in C Minor for violin and harp by Louis Spohr (below top); the Suite from The Victorian Kitchen Garden for clarinet and harp by Paul Reade; and Ganagobie for solo harp by Bernard Andres (below bottom), featuring Atz as soloist. Tickets can be purchased at the door for $18 for adults, $15 for seniors and students. 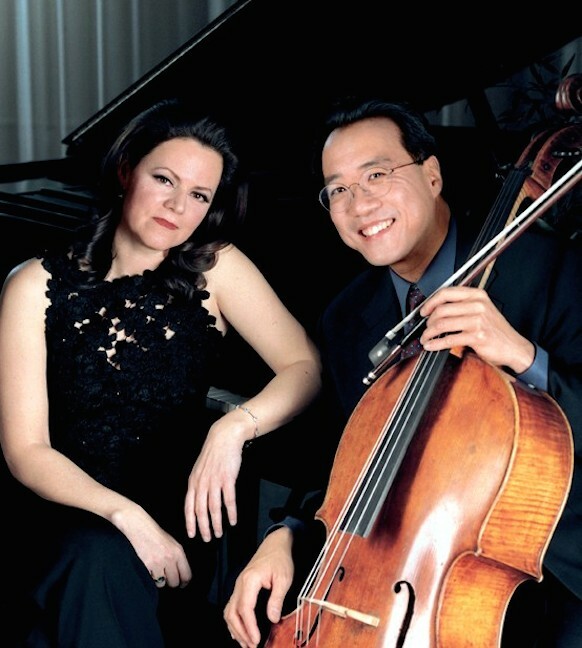 Classical music: The UW-Madison School of Music has a busy weekend, including a FREE orchestra concert for the Wisconsin Academy’s marking of the centennial of the extinction of the passenger pigeon plus a FREE cello recital and a voice faculty showcase. It will be a busy weekend at the University of Wisconsin-Madison School of Music. Events include a FREE orchestra concert on Sunday afternoon for the Wisconsin Academy’s marking of the centennial of the extinction of the passenger pigeon. 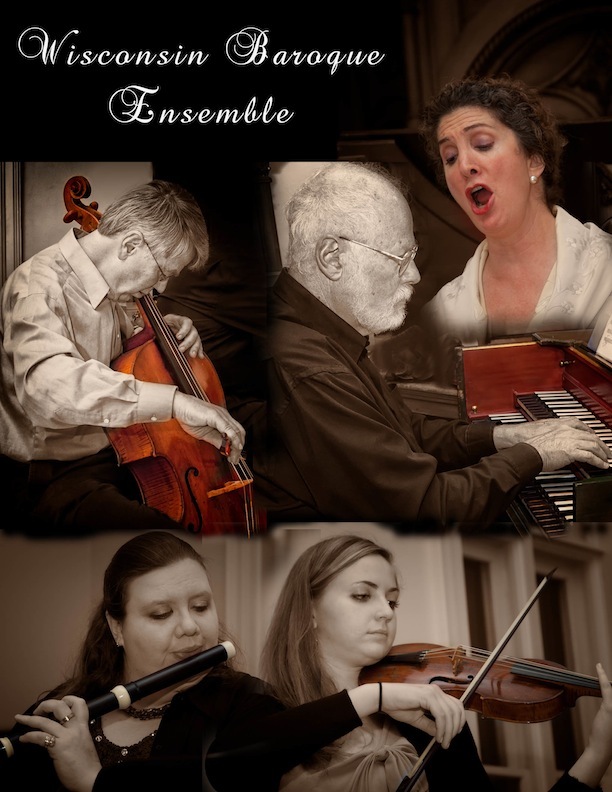 But there is also a FREE cello recital on Saturday night and a voice faculty showcase concert on Sunday evening. 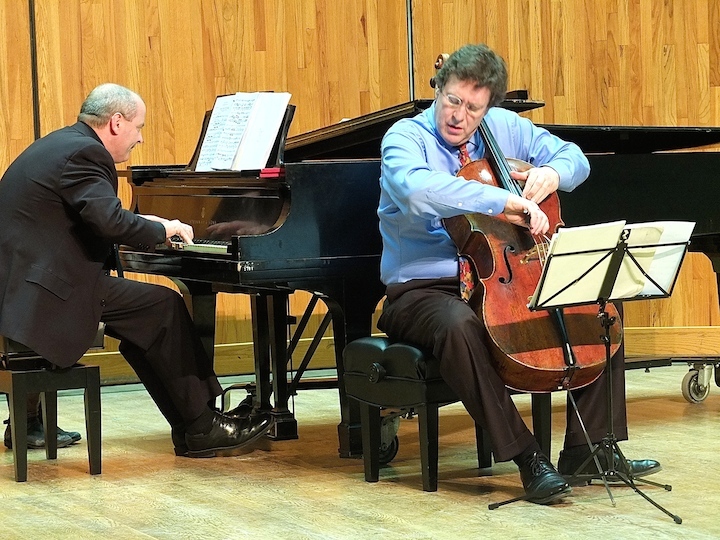 At 8 p.m. in Mills Hall, cello Professor Parry Karp (below left), who also plays in the Pro Arte Quartet, will play a FREE recital with his longtime pianist partner Eli Kalman (below right), who teaches at UW-Oshkosh and did his doctoral work at the UW-Madison School of Music. The program includes the Sonata in C Minor for Piano and Violin, Op; 30, No. 2 (1802), by Ludwig van Beethoven as transcribed for cello by Parry Karp, who also transcribed all the violin sonatas by Johannes Brahms; the Sonata in E-flat Major for cello and piano (1922) by Ettore Desderi; and the Concerto for Cello and Orchestra, Op 22 (1945) by Samuel Barber. 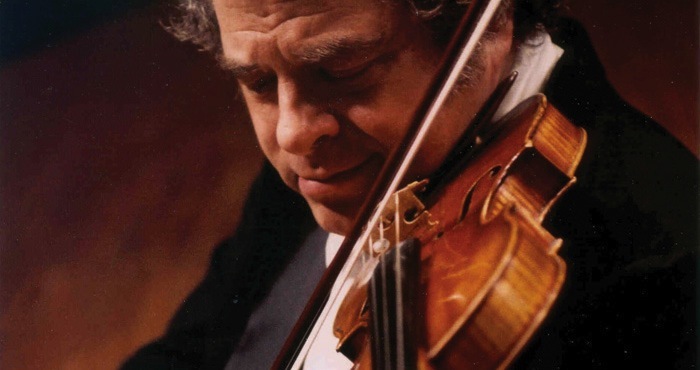 On Sunday, Nov. 2, at 2 p.m. in Mills Hall, the UW Symphony Orchestra will perform the Wisconsin premiere of “The Columbiad,” preceded by a talk by acclaimed emeritus wildlife professor Stanley Temple (below). 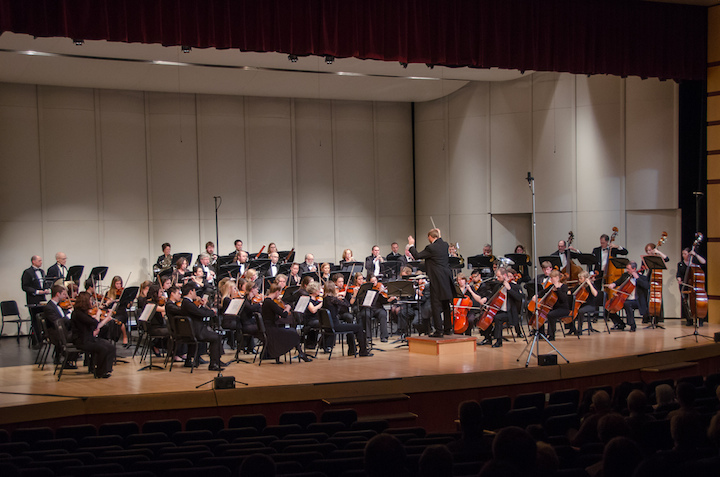 The music program is: A. P. Heinrich, “The Columbiad, or Migration of American Wild Passenger Pigeons”; the Concerto for Orchestra by Witold Lutoslawski; and the “Tragic” Overture by Johannes Brahms. The concert is part of a two-day symposium on the 100th anniversary of the demise of the fabled passenger pigeon. It features a short talk by Stanley Temple, Beers-Bascom Professor Emeritus in Conservation, University of Wisconsin-Madison and Senior Fellow, Aldo Leopold Foundation. 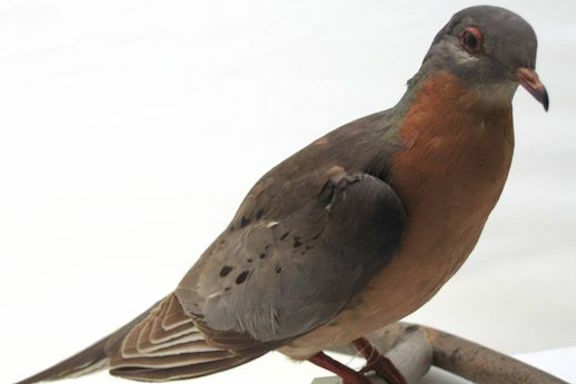 On the occasion of the 2014 centenary of the extinction of the passenger pigeon, the Wisconsin Academy of Sciences, Arts and Letters and the UW-Madison Department of Forest and Wildlife Ecology invite the public to join in an exploration of the sobering story of the passenger pigeon (below is a photo of a stuffed real passenger pigeon) and what it can tell us about the ongoing extinction crisis and our relationship with other species. 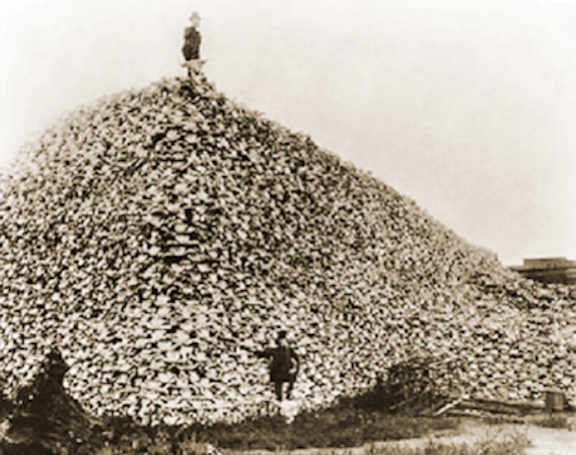 Heinrich was inspired by witnessing vast flocks of passenger pigeons in 1831. 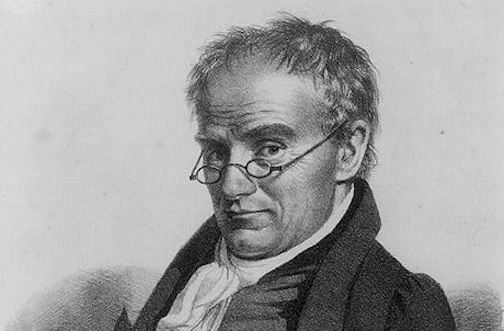 Known in his day as “the log cabin composer” and “the Beethoven of America,” Anthony Philip Heinrich is the only important composer of the early 19th century to have experienced the North American frontier as he did. He saw Niagara Falls, he encountered Native Americans and slave musicians, and he witnessed the astonishing migration of giant flocks of passenger pigeons. To learn about the national effort, please see Project Passenger Pigeon. 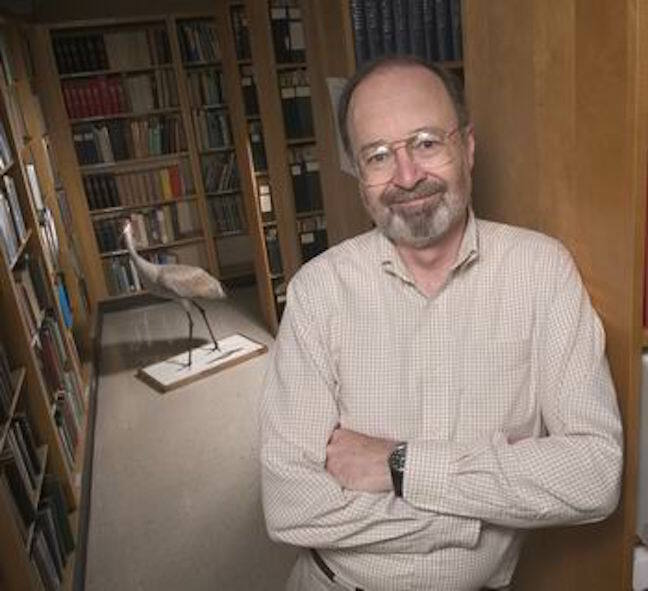 Saturday, November 1, 2014 from 7 to 9 p.m.
Saturday, November 1, 2014 from 1 p.m. to 4 p.m.
Stanley Temple: “A Bird We Have Lost and a Doubt We Have Gained” (Fellows Forum). At 7:30 p.m. on Sunday night, Nov. 2, in Mills Hall the UW-Madison voice faculty presents an evening of chamber music featuring the solo voice. 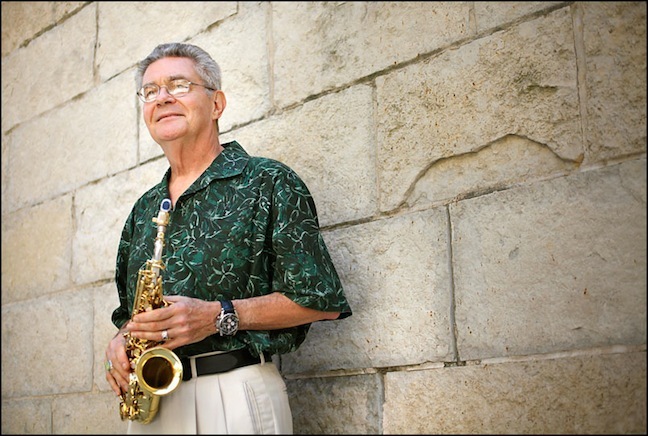 Featuring a premiere, “White Clouds, Yellow Leaves,” written by composer and saxophone professor Les Thimmig (below). Participants includes: Mimmi Fulmer and Elizabeth Hagedorn, sopranos; Paul Rowe, baritone; with Karen Atz, harp; Thomas Kasdorf, piano; Marc Vallon, bassoon; Parry Karp, cello; and many students and faculty from the UW-Madison School of Music. Tickets are $10 with students getting in for FREE. Tickets will be available at the door as well as online or at the box office. Please see this link. “Don Quichotte à Dulcinée” (1934) by Maurice Ravel (1875-1937) Chanson Romanesque; Chanson épique; Chanson á boire with Paul Rowe, baritone, with Thomas Kasdorf, piano. “L’invitation au voyage” by Emmanuel Chabrier (1841-1894) with Elizabeth Hagedorn, soprano; Marc Vallon, bassoon, with Thomas Kasdorf, piano, and Karen Atz, harp. 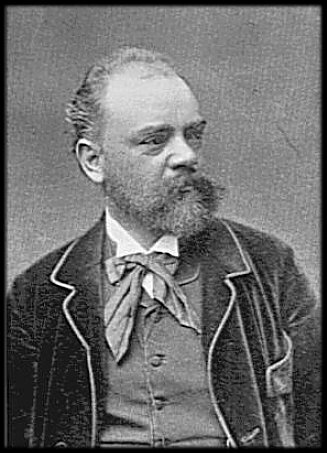 “Barcarolle” by Charles Gounod (1818-1893) with Elizabeth Hagedorn, soprano; Paul Rowe, baritone, with Thomas Kasdorf, piano. “Long Pond Revisited” (2002) by Lori Laitman (below, b. 1955). From poetry by C.G.R. Shepard: “I Looked for Reasons,” “The Pond Seems Smaller,” “Late in the Day,” “Days Turn,” “Long Pond Revisited” with Paul Rowe, baritone; Parry Karp, cello. 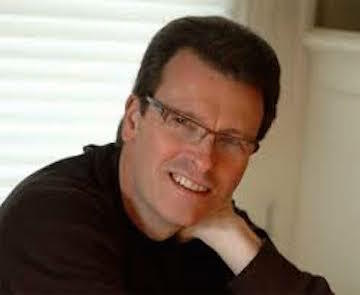 “White Clouds, Yellow Leaves” (2013) by UW-Madison composer Les Thimmig (b. 1943) fromTexts derived from 8th- and 9th-century Chinese poetry with Mimmi Fulmer: mezzo-soprano; Mi-Li Chang: flute, piccolo, alto flute; Kostas Tiliakos,: English horn; Marc Vallon: bassoon; Sean Kleve: percussion; Karen Atz, harp; Paran Amirinizari: violin; Rachel Hauser: viola; Andrew Briggs: violoncello; and Les Thimmig: conductor. Tickets are $10 for the public; students get in free. Classical music: You Must Hear This -– the Romance for Viola and Orchestra by Max Bruch. I saw and heard Madison-born and Madison-raised violist Vicki Powell (below) last Wednesday night. 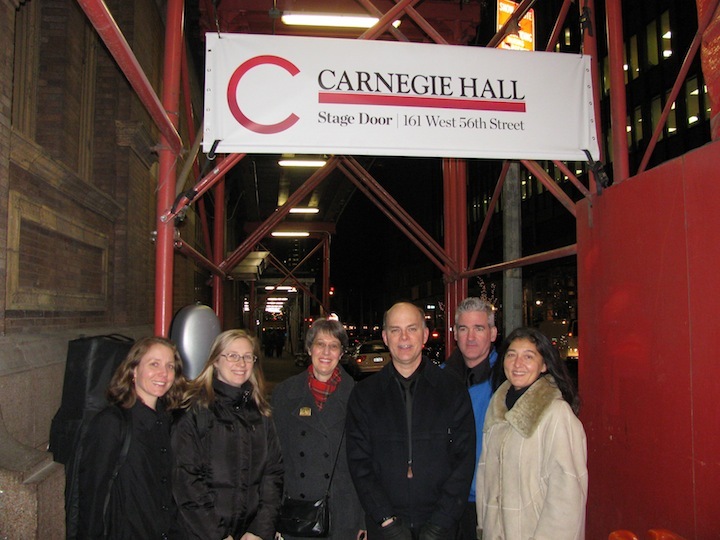 That was when the alumna of the Wisconsin Youth Symphony Orchestras (WYSO), the UW-Madison School of Music, the Juilliard School and the Curtis Institute who now plays with the New York Philharmonic and other prestigious groups and who has participated in the Marlboro and Aspen festivals, returned from New York City to solo with the Middleton Community Orchestra. 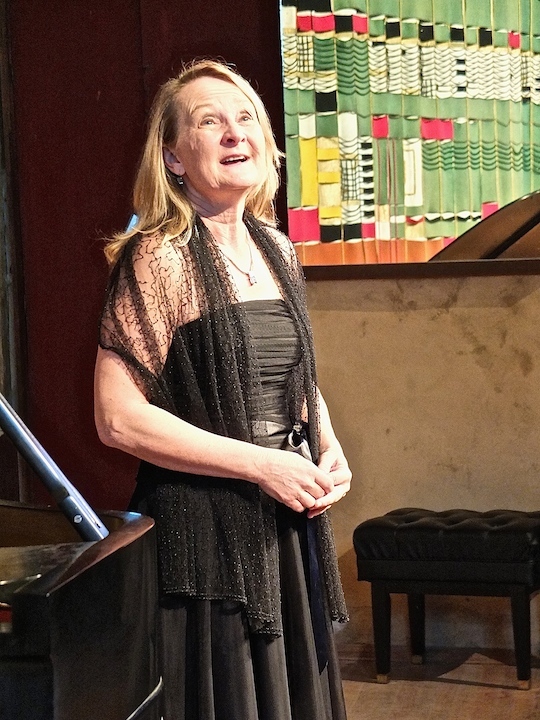 It was a wonderful and thoroughly enjoyable performance as well as very affordable event, as you can read in the review by John W. Barker that was posted yesterday. 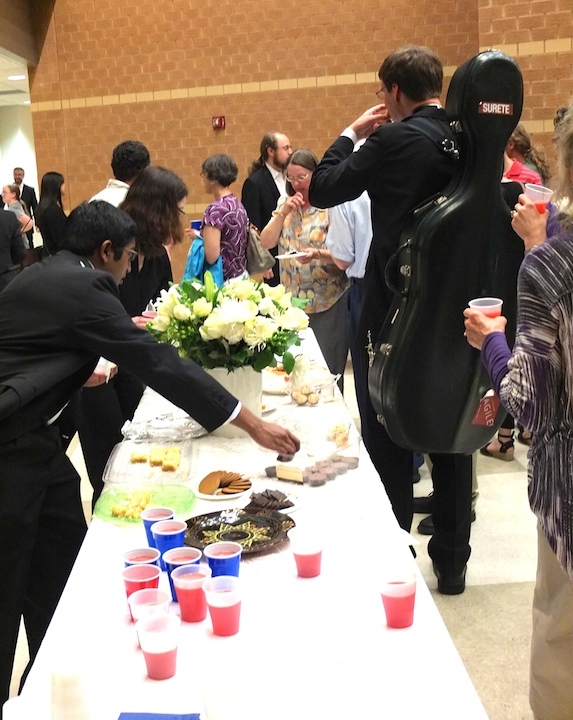 After the concert done in the terrific 90-minute, no intermission format that I think attracts many people, there was a meet-and-greet, with cookies and punch, where the public and the musicians could mingle – and did. That’s when I went up to the lovely, gifted and poised Vicki Powell and remarked on how beautiful her playing had been with the MCO under conductor Steve Kurr (below top). 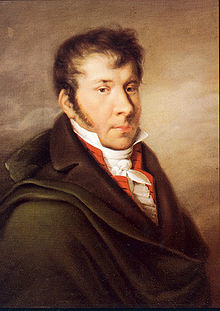 I was quite taken with her reading of the rarely heard Fantasy on Themes by Mozart for Viola and Orchestra by Johann Nepomuk Hummel (below bottom). 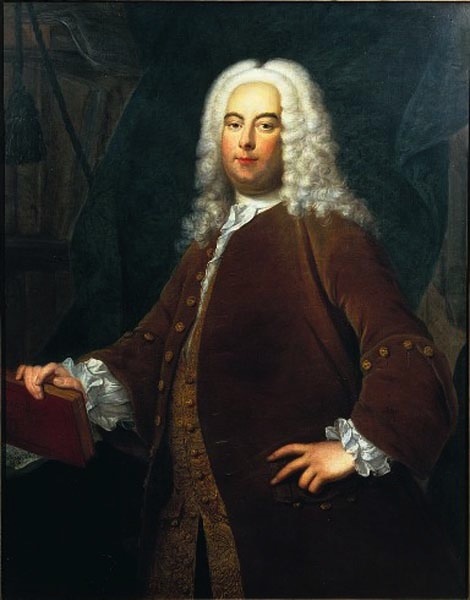 Hummel remains a much underappeciated composer who was invited by none other than Wolfgang Amadeus Mozart himself to live in his house and take free lessons. 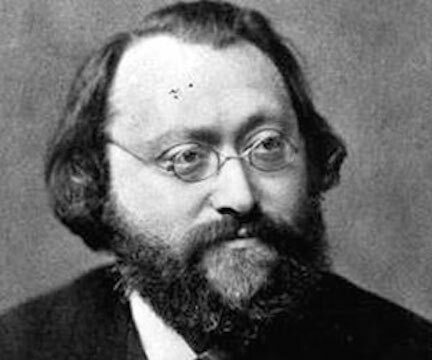 But what really swept me away was the Romance for Viola and Orchestra by the 19th-century Romantic German composer Max Bruch (below). 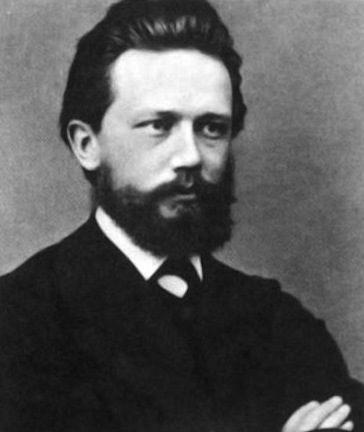 I have heard Max Bruch’s popular violin concertos – especially No. 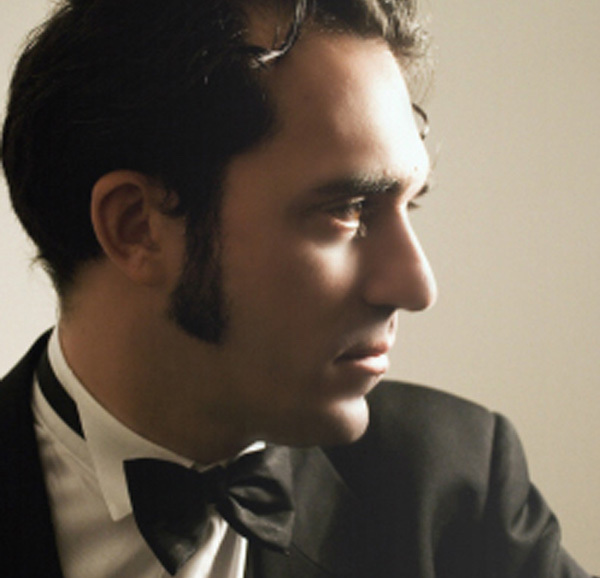 1 in G minor — and his Kol Nidre for cello and piano as well as his Scottish Fantasy for violin and orchestra. But this work was completely new and unknown to me, but captivated me from the first notes. No 10 listenings or more needed to like and appreciate this work! “I am amazed it hasn’t yet been used for a movie soundtrack,” I said to Powell. That is how beautiful and tuneful, how accessible and emotional, it is. And maybe you will be surprised too. 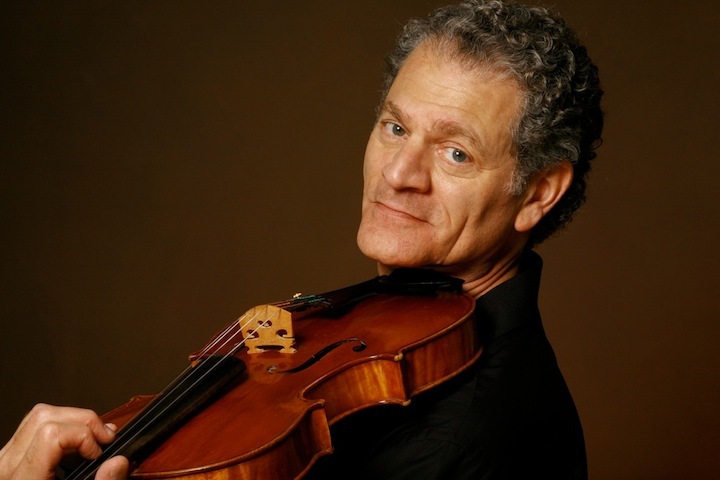 So here is a YouTube video of the work performed by violist Miles Hoffman, who also comments frequently on classical music for NPR (National Public Radio). It lasts about 9-1/2 minutes and is pure loveliness. And maybe it has indeed been used in the movies. If so and you know, please let us know. 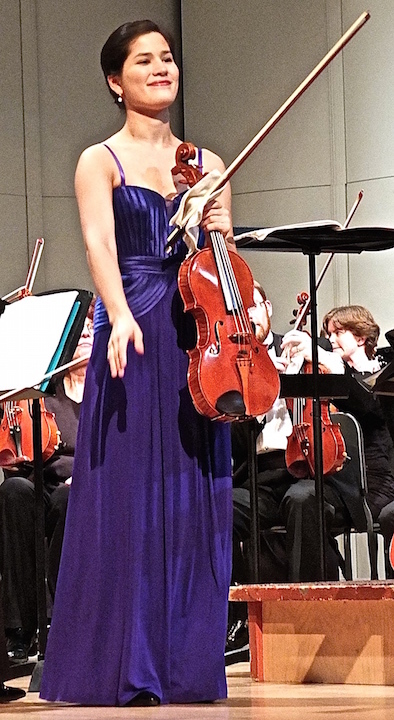 Classical music: The Middleton Community Orchestra opens its season with polished viola playing from Vicki Powell and infectious enthusiasm from the entire orchestra in a Dvorak symphony. 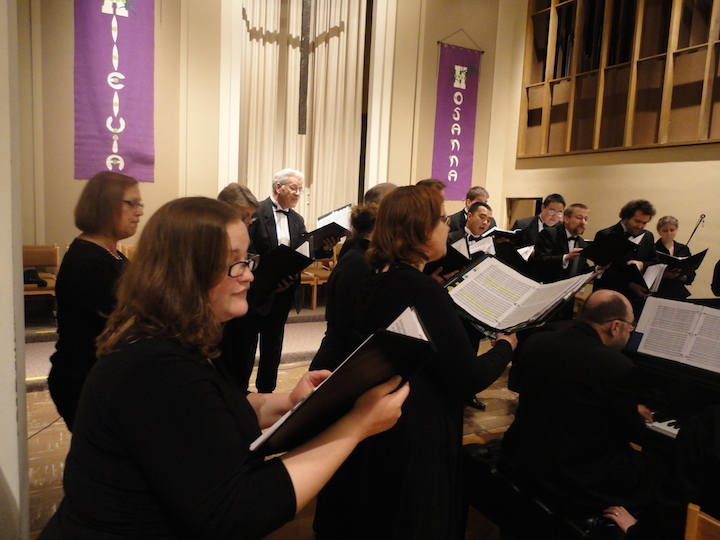 The Middleton Community Orchestra (below) opened its fifth season on last Wednesday evening with a mix of novelties and old favorites. 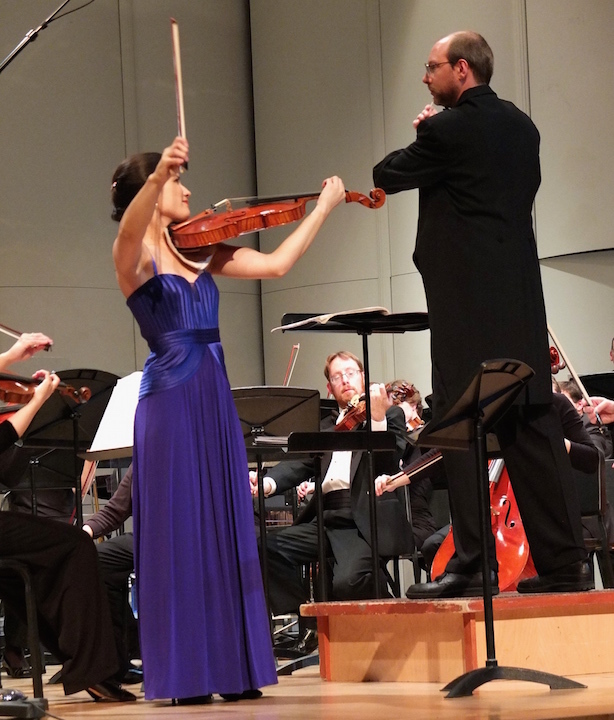 The orchestra’s new concertmaster, Valerie Clare Sanders, a senior at the UW-Madison School of Music who also plays with the Madison Symphony Orchestra, also made her debut with the MCO. 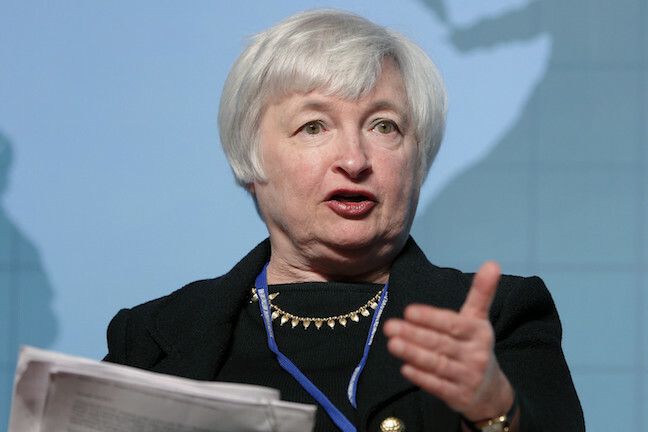 The starter was the ever-popular, ever-rousing Overture to the opera “William Tell” by Rossini. The playing seemed a little less fully digested, but the piece still came off with spirit. The unfamiliar elements were two display pieces for the young but highly gifted, Madison-born violist, Vicki Powell (below). 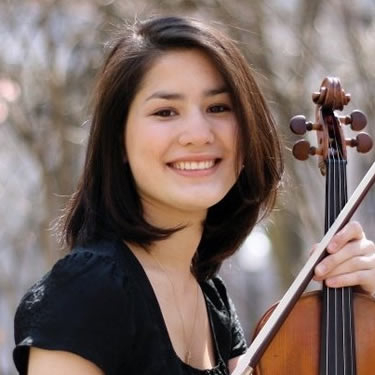 She offered a superbly warm, rich, clearly projected tone, presented in a thoroughly professional manner— reminding us, too, how underappreciated the viola is as a solo instrument. 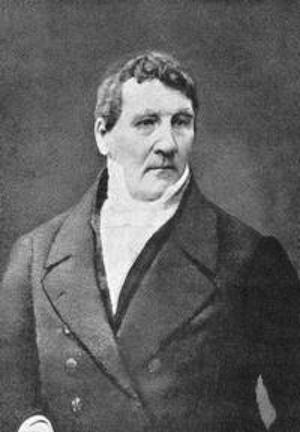 Her first selection was a Fantasia on themes of Mozart, by Johann Nepomuk Hummel (1778-1837), a protégé of Mozart and rival to Beethoven. 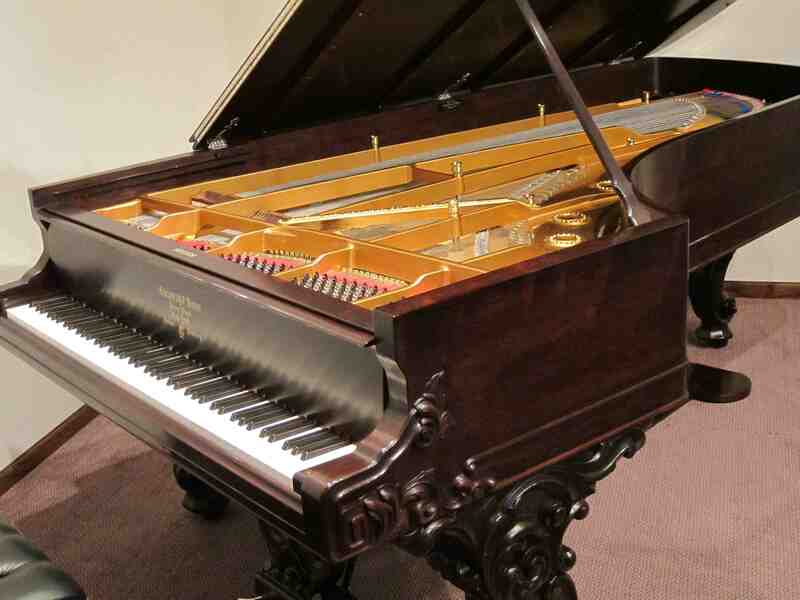 Originally a solo piano piece of 1833, if I am not mistaken, it was arranged for solo viola and chamber orchestra by the French musician Fernand Oubradous. It proved to be charming music, beautifully played. The second piece was a Romance, Op. 85, of 1911, for viola and orchestra. Composed in lush late-Romantic style, it could have been a movement of a concerto, and was a handsome dialogue between soloist and orchestra, realized with particularly gorgeous tone by Powell. She is a musician to watch for. The grand finale was the Symphony No. 8 in G major by Antonin Dvorak. Here I must ask the reader’s patience if I indulge in a strong personal memory about this work — and a very pertinent one. When I was a graduate student in the late 1950s at Rutgers University, in New Brunswick N.J., I attended a concert by the New Brunswick Community Philharmonic (if I remember its name correctly). It consisted of semi-professionals and amateurs of the area, under the baton of the local high-school bandmaster, one Max Pecker. This has proven to be one of the most memorable concerts of my musical lifetime, and I still recall the program vividly. Franz Schubert’s bouncy Overture to his opera “Alfonso und Estrella” immediately revealed that this orchestra was a pretty scrappy affair in terms of discipline. BUT: the players were having so much fun in their work that it was impossible not to share their enthusiasm. The second work was the Piano Concerto No. 2 of Camille Saint-Saëns, featuring a local keyboard whiz just back from the Paris Conservatory. For him the orchestra had made its most careful preparation, and their playing came off as quite credible. The important thing was that, even though the work was rough going for this ensemble, the sheer joy of the players was simply contagious. The most honest kind of musical pleasure filled the hall. 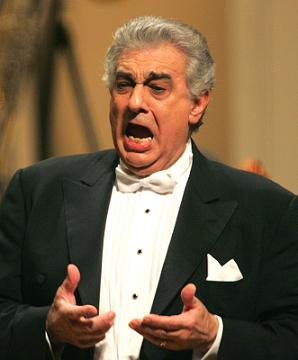 As I said, this is a concert I have never forgotten, always remembered affectionately. I had that concert very much in mind in listening to the MCO performance. Oh yes, there were some passing fluffs here and there. But this was an orchestra that could play with discipline and coherent unity of purpose, far beyond the New Brunswickers’ capacities. 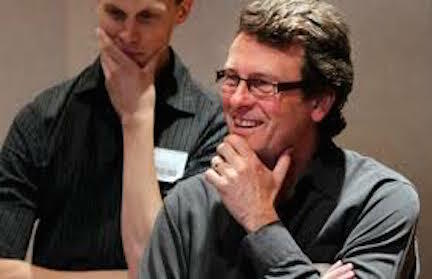 The parallel was, however, that the players seemed clearly to have caught the enthusiasm for the score conveyed to them by conductor Steve Kurr (below). Better than most performances I have heard, Kurr projected an intensity and even dramatic emphases that the orchestra took up and gave back to him gloriously. One member told me afterwards: “We enjoyed playing it.” And I found myself at times transported with delight at how this magnificent score once again came alive for me, thanks to music-making that was more than just a matter of artistic efficiency. My point is not just a matter of nostalgia revived. It is a reminder that one does not have to have a performance by one of the super-polished orchestras of our Big Cities, or of the international world, in order to have a memorable listening experience. A deeply committed orchestra under inspired and inspiring leadership can offer as satisfying a musical experience as can be found anywhere. 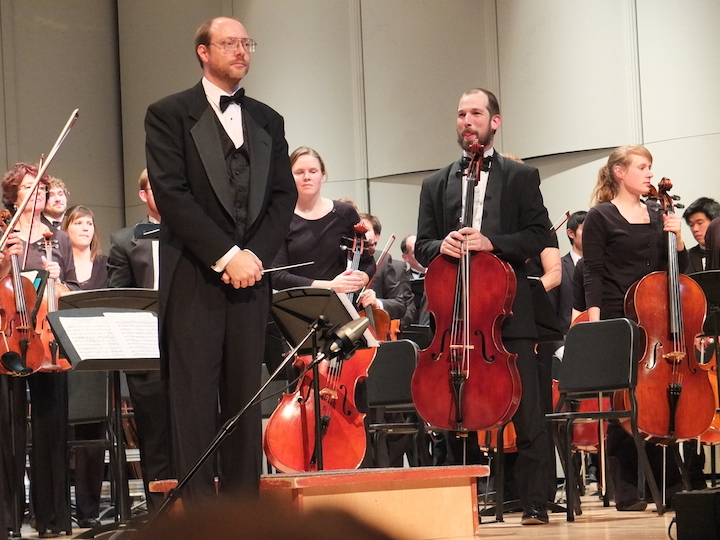 Madison audiences should therefore listen up and pay attention to Middleton’s really splendid community orchestra, taking advantage of its offerings to discover the genuine rewards. 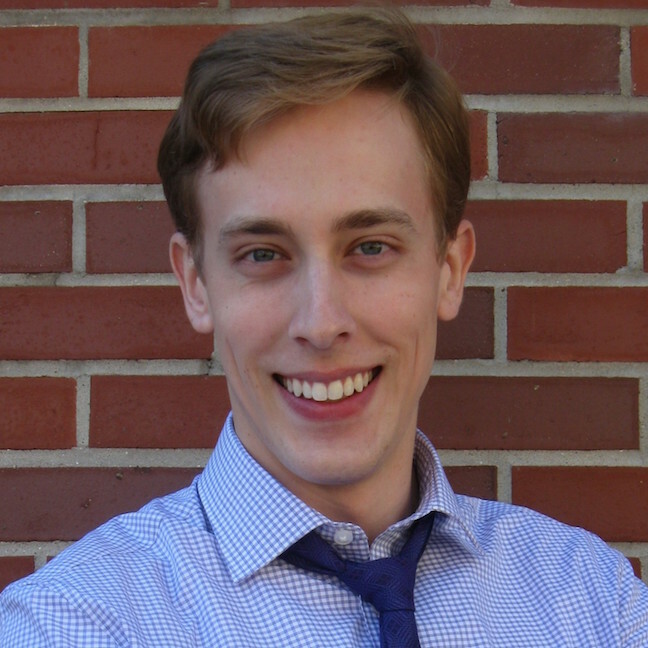 Classical music: Two percussion concerts — by Clocks in Motion and Madison native Nathaniel Bartlett — take place on Sunday afternoon. 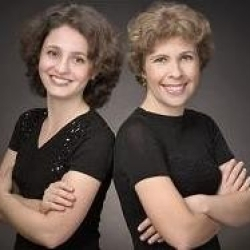 This week’s FREE Friday Noon Musicale features vocal music by many composers. 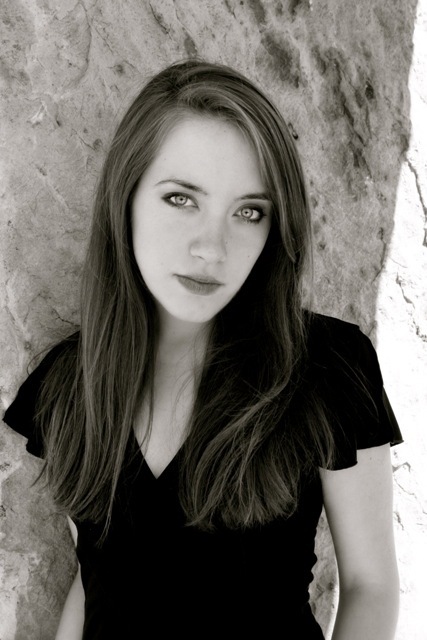 ALERT: This Friday’s FREE Noon Musicale, from 12:15 to 1 p.m. at the First Unitarian Society of Madison, 900 University Bay Drive, features Rachel Eve Holmes (below), soprano; Christopher Apfelbach, baritone and Michael Keller, piano, in the music of Carlisle Floyd, Reynaldo Hahn, Amy Beach, Richard Strauss, Benjamin Britten, Gabriel Faure, Paul Bowles and Wolfgang Amadeus Mozart. As I wrote and posted on Monday and Tuesday, Friday night is a major “train wreck” of competing concerts. But Sunday is busy also and brings potential conflicts, particularly for percussion fans, though there is time to get from one concert to the other. “Contemporary chamber ensemble Clocks in Motion blends the classical concert hall with the rock n’ roll venue in a bold performance on Sunday afternoon, Oct. 26, at 1 p.m. in Mills Hall. The program will pair one of the first pieces written for percussion ensemble with music by iconoclast Frank Zappa. Zappa listed Edgard Varèse’s groundbreaking work, Ionisation, as one of his fundamental inspirations in becoming a composer. Clocks will juxtapose this influential piece with Zappa’s Black Page, a drum solo that was later expanded to a full-band tune. 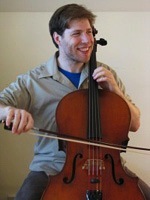 Black Page’s uniquely virtuosic sound blends rock, contemporary, and experimental avant-garde music. 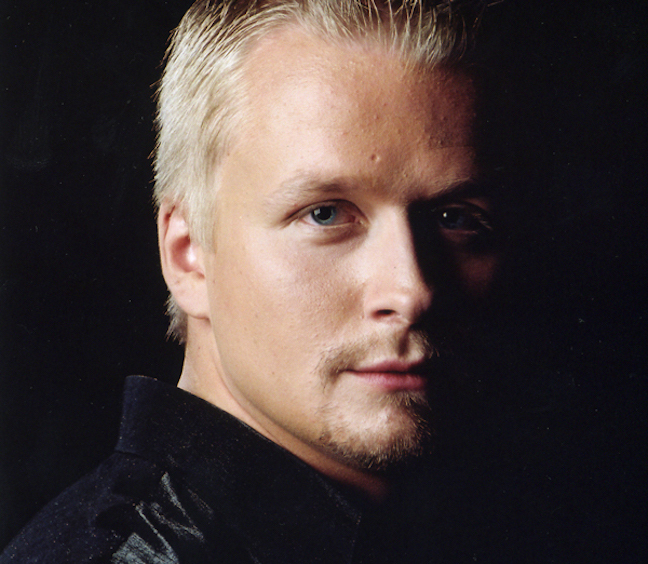 Guitarist Anthony Lanman joins the program as a guest performer on the world premiere of his 8-string electric guitar concerto, Automaton. 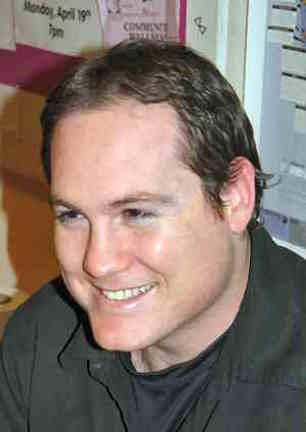 A lush quartet for mallet percussion, piano, and cello by Joseph Diedrich will also receive its world premiere. 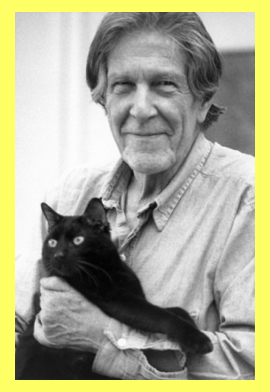 Rounding out the program is John Cage’s Second Construction, a grooving classic in the percussion literature. 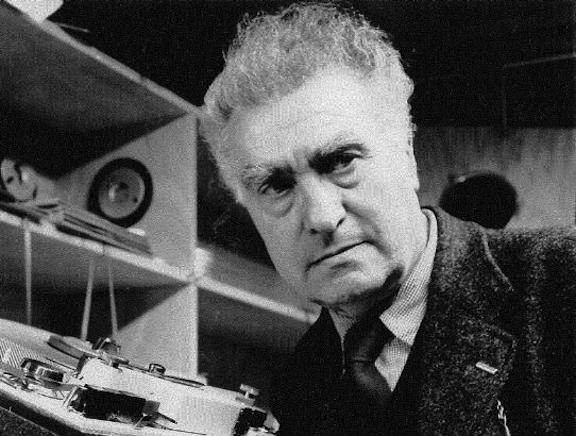 Ionisation: Although it is only 5 minutes long, Edgard Varèse’s seminal percussion piece laid the groundwork for 90-plus years of composition for the genre (and beyond, as displayed by Frank Zappa). Varèse (below) explores the coloristic possibilities of percussion with unique instruments including drums, woodblocks, sirens, cymbals, chimes, maracas, slapsticks, and more. 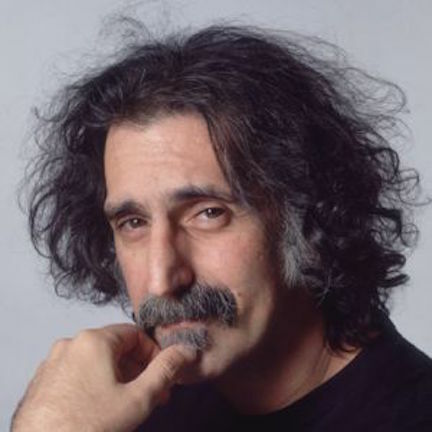 Black Page: Originally constructed as a drum solo in a style unique to Frank Zappa (below), Black Page is known for its impressive rhythmic complexity and polyrhythms. This meticulous, thrilling piece is in two parts: No. 1, a full-ensemble percussion unison featuring a “statistical density”; and No. 2, the “Easy Teenage New York Version,” which grooves through the same material with a full band. 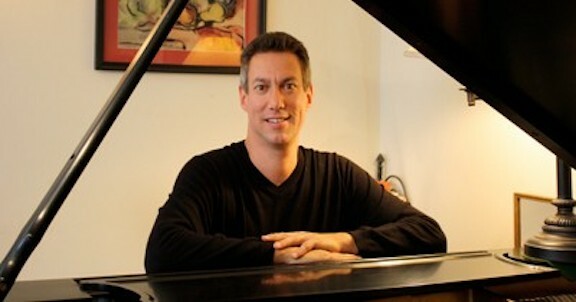 Saturation: Writes Joseph Diedrich: Composed in 2013, Saturation combines the distinct timbral subtleties of mallet percussion, strings, and piano. Using UW-Madison composer Stephen Dembski’s constellation protocol, the piece embarks on an evolutionary journey, culminating in the discovery of tonality. Starting with distant, sparse reverberations, Saturation quickly becomes a wild musical adventure. Second Construction: The 1940 work by John Cage (below) is scored for four players, and features piano prepared with cardboard, screws, and a metal cylinder carefully placed inside the instrument. The instrumentation is fascinating — water gong, temple bowls, almglocken, maracas and tam-tam are heard. New music, new instruments and new sounds define Clocks in Motion’s fresh and innovative approach to contemporary classical performance. Hailed as “nothing short of remarkable” (ClevelandClassical.com), Clocks in Motion is a group that performs new music, builds its own instruments and breaks down the boundaries of the traditional concert program. Clocks in Motion consistently performs groundbreaking concerts involving performance art, theater, and computer technology. Featuring world premieres alongside rarely performed classic works, this ensemble strives to create a new canon of percussion repertoire. You can hear how they make music on found objects in a YouTube video at the bottom. Clocks in Motion works passionately to educate young audiences through master classes, residencies, presentations and school assemblies. The ensemble’s unique skill sets and specialties contain an impressive mix of rock, jazz, contemporary classical, orchestral, marching and world styles. Clocks in Motion has served as resident performers and educators at the Interlochen Arts Academy, Casper College, the University of Michigan, Baldwin-Wallace University, VIBES Fine and Performing Arts, Traverse City West High School, Traverse City East Middle School, Rhapsody Arts Center, and the Madison Museum of Contemporary Art. Formed in 2011, Clocks in Motion began as an extension of the University of Wisconsin-Madison’s Graduate Percussion Group, and now serves as the affiliate ensemble of the UW-Madison percussion studio. 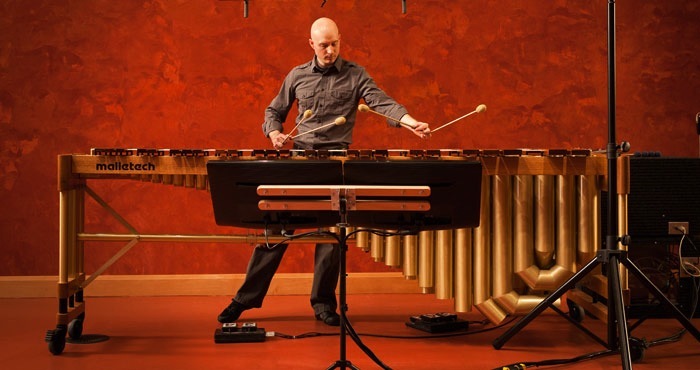 At 6:30 p.m. in Promenade Hall of Overture Hall, the Madison-born percussionist and marimba-player Nathaniel Bartlett (below), who uses complex computer technology in his music, will perform an unusual concert. 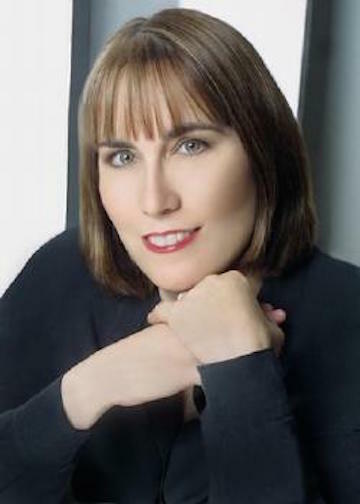 ALERT: A reminder that Madison-born Vicki Powell, who trained at the UW-Madison School of Music, the Curtis Institute and the Juilliard School and who plays with the New York Philharmonic and other major groups, will perform two solos TONIGHT at 7:30 p.m. at the season-opening concert by the largely amateur but very good Middleton Community Orchestra, under conductor Steve Kurr. The place is the Middleton Performing Arts Center that is attached to Middleton High School, 2100 Bristol Street, not far off of University Avenue. On the programs is the Overture to “William Tell” by Rossini, the Fantasy for Viola and Orchestra by Johann Nepomuk Hummel, the Romance for Viola and Orchestra by Max Bruch and the Symphony No. 8 by Antonin Dvorak. Tickets are $10; all students get in for FREE. A meet-and-greet reception for the players and audience members follows the concert. 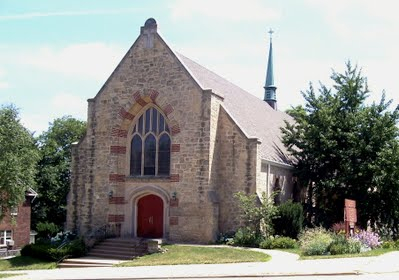 The Wisconsin Baroque Ensemble (below top) launched its new season in Madison last Sunday afternoon, not at its usual venue (Gates of Heaven Synagogue), but at St. Andrew’s Episcopal Church (below bottom). The different location contributed to an enlargement of instrumental colors this time. Max Yount not only worked the harpsichord, but made good use of the church’s handsome Baroque organ in the numerous continuo functions. In addition, Eric Miller (below) extended from his viola da gamba to show his new talents on the cornetto, while Theresa Koenig moved gracefully between dulcian (early bassoon) and recorders, and Monica Steger alternated on flute and recorder. The frequent vocal collaborators, UW-Madison soprano Mimmi Fulmer (below top, seen at the Hillside Theater at Frank Lloyd Wright’s compound Taliesin in Spring Green) and mezzo-soprano Consuelo Sañudo were on hand, and patriarch Anton TenWolde (below bottom) on cello completed the group of seven performers. Two of the nine composers represented — the German Johann Sebastian Bach (1685-1750) and the Swede Johan Helmich Roman (1694-1758) — stood apart as almost chronological afterthoughts, though Roman’s sonata for flute and continuo was given a predictably rousing rendition by Steger. Koenig presented a sonata for dulcian and continuo by Giovanni Antonio Bertoli (1598-1645), then joining Steger on recorders for a duo sonata by Giuseppe Scarani of the mid-17th century. On the vocal side, the two singers joined in an impressive cycle of eight Italian duets, with continuo, by Sigismondo d’India (1582-1629). 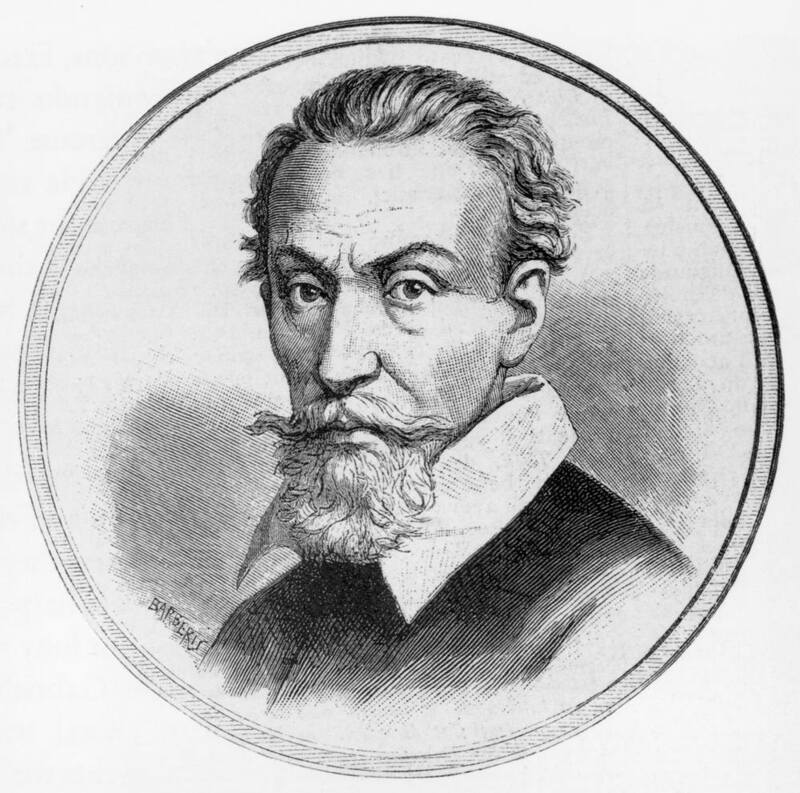 In these, D’India, an epigone of Claudio Monteverdi (below), contrived writing of individual elaborateness for each singer while also ingeniously integrating their parts. 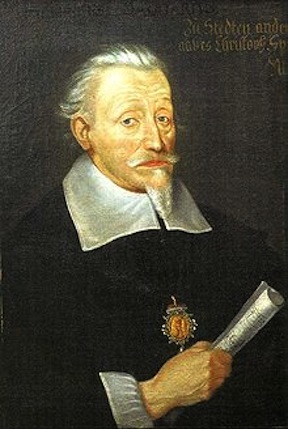 Vocal music returned at the end, too, when Sañudo, joined by all the players, sang the opening aria of Bach’s Cantata 161, and then the two singers and almost all the players came together for an early carryover by Heinrich Schütz (below, 1585-1672) from his Italian training, a moralizing madrigal in German for two voices, two melody instruments, and continuo, which made a richly satisfying conclusion to the program. It was in these two last vocal works, too, that Miller forsook his gamba and took up his cornet. What can we say? 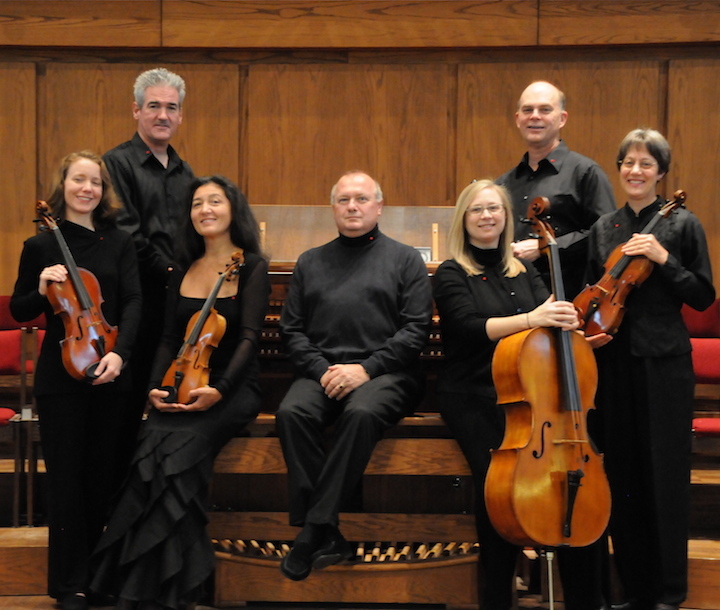 After some 17 years, the WBE is still going strong, offering us annual presentations of mostly rare Baroque chamber works, in elegant performances in intimate venues. They are the trailblazers in Madison’s early music scene, and they remain a vital component of that scene.